The Jade Roller is a skin-care tool that will cool, tighten, and depuff your face in minutes. This gorgeous, natural crystal roller has a large and small stone that you simply roll over your face in an outwards direction for a relaxing facial massage. Gua Sha is a treatment technique that involves pulling the jade stone along the skin, stimulating the skin layers to reduce puffiness, promote anti-aging, flush out tissues via lymphatic drainage, and much more. 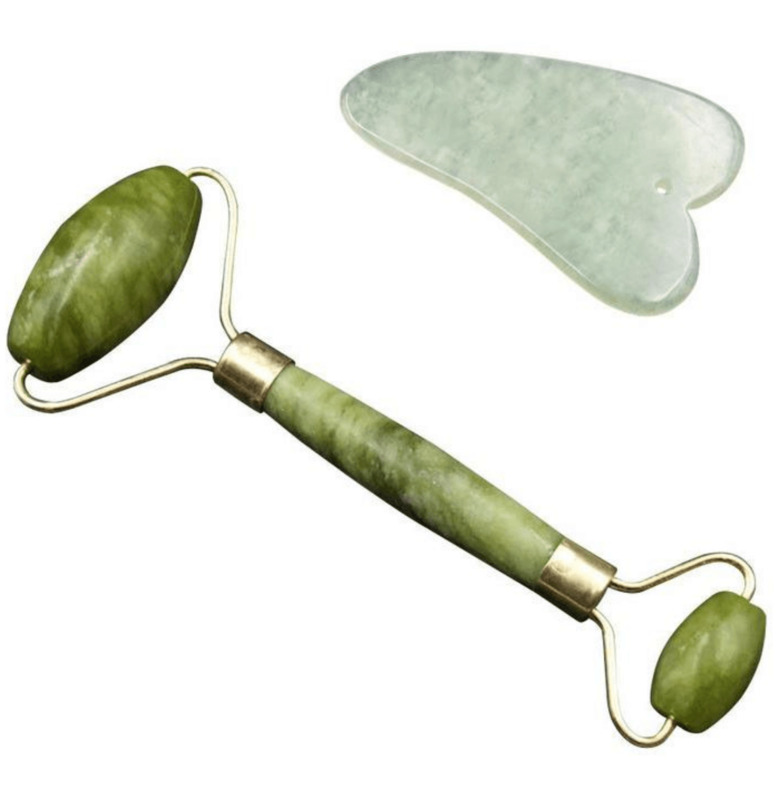 Featuring an ergonomic design that adapts to the contours of the face, the Jade Gau Sha Facial Massage Tool is an excellent addition to any routine to help make facial features appear more youthful and well rested. Benefits of the Jade Crystal: Jade represents wisdom, balance and peace. It is a highly calming stone which makes it great for relaxation.